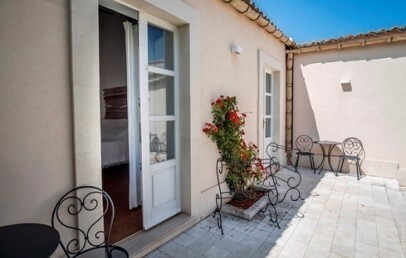 traditional atmosphere able to let guests enjoy the delights of Sicily’s great food and wines. 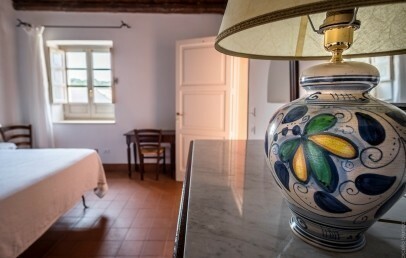 Surrounded by an olive grove, in idyllic countryside, Masseria degli Ulivi is set between the provinces of Siracusa and Ragusa and less than one hour’s drive from the main attractions of south-eastern Sicily: just 10 km away guests will find Noto, a splendid Baroque gem; then there are Modica, Scicli, Ragusa and the other small towns of the Val di Noto, forming part of UNESCO’s world heritage, together with the fine historic centre of Siracusa (35 km). There are also many nature attractions in the area, such as the Nature Reserve of Cava Grande (9 km), the Nature Oasis of Vendicari (22 km) and the Nature Park of Pantalica (35 km). 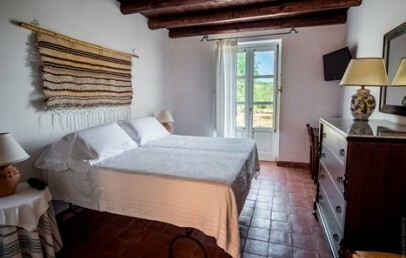 An ancient farming estate is home to Masseria degli Ulivi, a fine structure with spaces exuding old-time fascination, excellent restaurant service and careful, unobtrusive service. 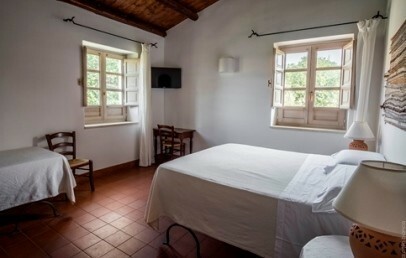 Reception, the restaurant and common lounges are set around the ‘baglio’, the typical courtyard of the country buildings at one time used for farming activities. 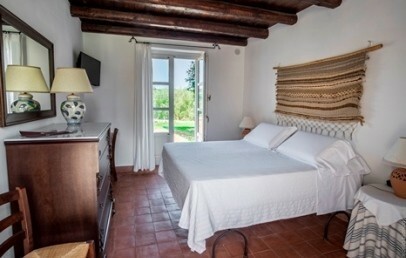 The Masseria offers guests large areas dedicated to relaxation and leisure time: the large Mediterranean garden, the pool with solarium surrounded by olive and carob trees, the spa area and the sports facilities, including tennis court and bowls area. 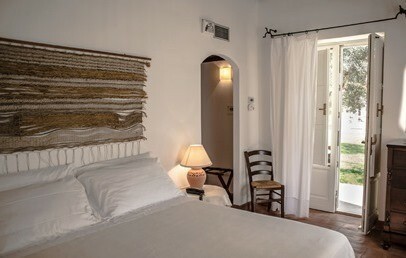 Reminiscent of a small country hamlet, the 35 rooms are silent havens set in the countryside of Noto. 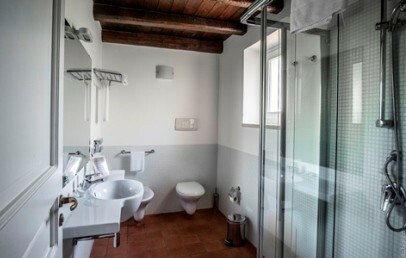 The stone of Noto and Modica, the tiles in light-coloured clay, ceilings in dark wood and floors in cotto tiles; the use of local materials and traditional construction techniques give the complex a pleasing rural ambience. 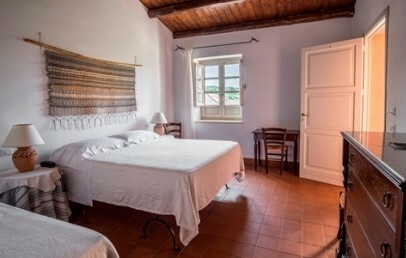 The furnishings too are in line with the tradition of country life: beds with iron frames, chests of drawers and sideboards in dark wood, country-style soft furnishings, ceramics from Caltagirone and Santo Stefano di Camastra. All accommodation options provide high standards of comfort and energy-saving design (floor heating and smart card operated electricity). The much-appreciated restaurant offers creative reinterpretation of traditional dishes. At lunch (served from 12:30 to 14:30) and at dinner (served from 19:30 to 22:00) the à la carte menu offers dishes based on locally produced ingredients: meat and fish, PDO cheeses, vegetables produced in the organic garden of the Masseria. And don’t miss the sweets and ice-cream and hand-made pasta. From 8.00 to 10.00 there is a rich breakfast buffet with the unforgettable delicacies of the area: fresh ricotta cheese, typical cheeses, honey from the Hyblaean Mountains, bread made from ancient Sicilian wheat types, jams and sweet bakery products made on the premises. 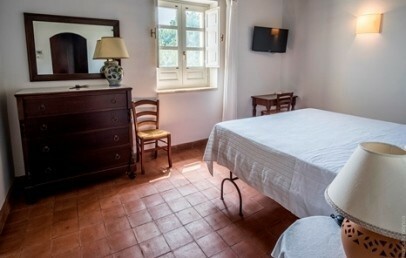 The price of your stay includes a rich breakfast buffet, Wi-Fi connection available in communal areas, use of the vehicle parking area and the pool, table tennis and table soccer. Payment is required for bicycle rental, access to the spa area, massages and relaxation treatments. Check-in is from 14.00 hrs and check out by 11.00; late check-out depends on availability. 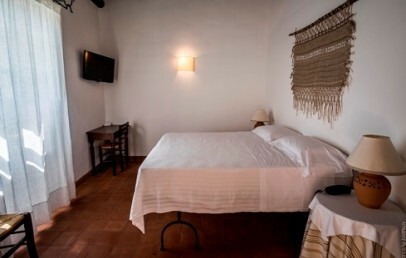 The Classic double room has all the basic facilities and is furnished with simple yet refined taste. 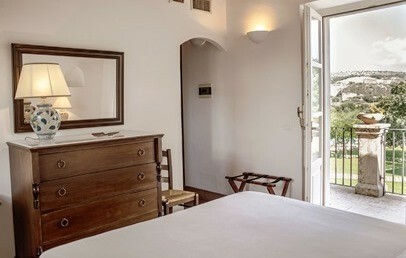 The Superior double room offers more comfort since it is bigger, brighter, and has an area outside with garden furniture. The triple room is a large, comfortable with a double bed and a third bed, ideal for a couple with a child.